1. Christians often celebrate the goodness of conversion, but de-conversion is becoming another prominent theme where previously professed Christians disavow their earlier faith. This article at Reformation 21 continues an earlier discussion on the theme. Apostasy often begins by avoiding worship, including the preaching and teaching of the Word. Hebrews’ unknown writer warns his audience against, “neglecting to meet together ...” ‘Neglect’ is too weak; it should read, “To utterly forsake...” Christ’s Church. It’s not sleeping in a couple snowy Sundays a year! Or perhaps being seen with ‘those eccentric Christians’ was embarrassing, compared to those in their office or social circles. Or perhaps they rebelled against Biblical morality. Again, maybe they mouthed the words too long. One day, they ask themselves, “Do I really believe this?” Or they succumb to American individualism, thinking of it as “finding my own space.” So they ease up when they should go deeper. 2. I generally don't engage in the gun control debate, because it is fruitlessly circular. This article from the left-leaning New York Magazine argues for gun control, but points out that there is not an epidemic of school shootings and it is unwise, dishonest, and unhelpful to argue there is one. By keeping the national spotlight on the mass murder at their high school — and calling on their peers across the country to walk out of their schools, so as to “no longer risk their lives waiting for someone else to take action to stop the epidemic of mass school shootings” in the United States — the theater kids of Marjory Stoneman Douglas have built the broadest public consensus for gun-safety measures that America has seen in a quarter-century. 3. Some proponents of increasing the size of the welfare programs in the US argue that absolute, abject, or extreme poverty is a major problem in the US, with millions in that state. This article from National Review argues that the statistics used by some advocates of redistribution ignore the existing benefits from welfare programs, which significantly reduces the reality of poverty in the US. The omission and undercounting of welfare aid is particularly troubling. For example, in 2016, federal, state, and local governments spent $223 billion on cash, food, and housing benefits for low-income families with children, an amount three times that needed to eliminate all official poverty and ten times that needed to wipe out deep poverty among them. But the Census Bureau’s income surveys counted only $7.6 billion of this spending for purposes of assessing poverty or deep poverty. 4. Recently Planned Parenthood (which is apparently not all about abortion, except when it is all about abortion) Tweeted they wanted a Disney princess who had had an abortion. Anne Kennedy takes on that macabre idea with wit and grace. 5. I've appreciated Andrew Peterson's music greatly over the past few years. 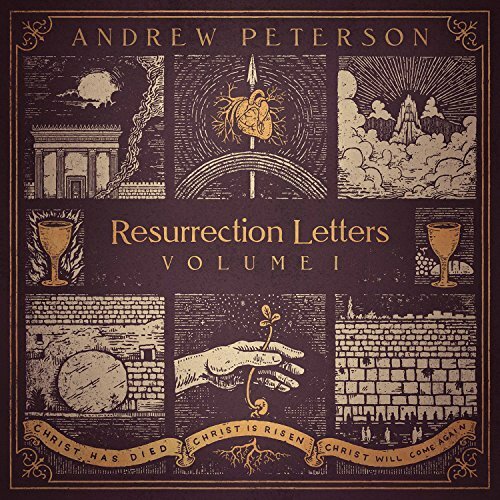 Trevin Wax just published an annotated guide to the music of Andrew Peterson. No contemporary songwriter has had a greater effect on my life than Andrew Peterson. His first album appeared the year I moved to Romania as a missionary student, and since that time, his songs have become part of the soundtrack for my life and faith.